Margo Grout Plugs (Packers) - Click Right Here to See Selection Chart! Global Headquaters: 511 Welham Road, Unit 14, Barrie, Ontario Canada L4N 8Z6 1-866-640-3476 Selling to all world markets. Use keywords to find the product "NAME" you are looking for. The Margo Packer Safety Bracket is designed to provide a convenient method of chaining down the Margo Packers prior to use. This important safety measure is recommended to prevent grout packer slippage and blowouts when high pressures are used during operation. River Rock Industries can make any size you need! All component are made in our shop. Grout Plugs/ Packers can be as long as 21 feet! 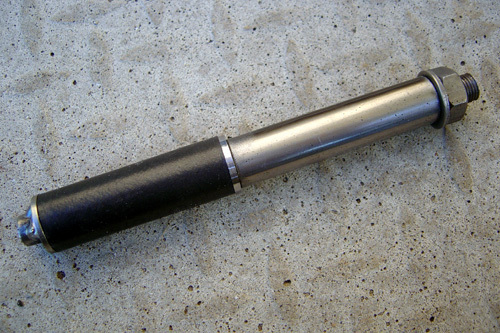 River Rock Industries produces a unique grout plug! 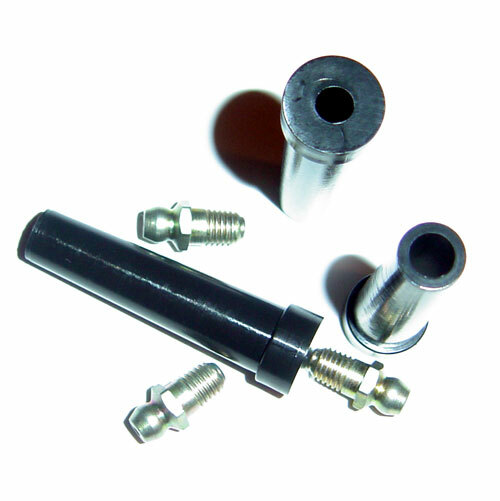 Our Margo style grout plugs come without welding of the outlet end washers. We use a pipe flaring procedure instead! Constructed using 100% high performance polyurethane rubber sleeves which are superior to the standard rubber sleeves! 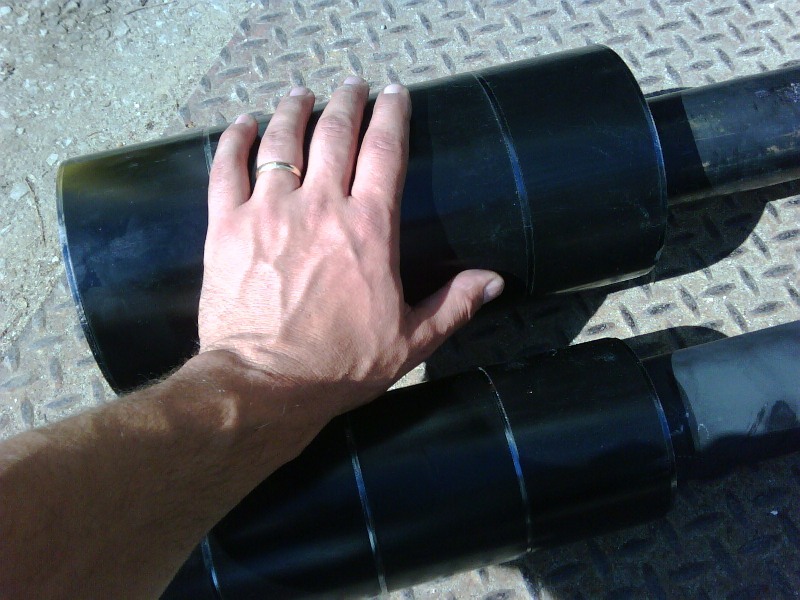 We have the ability to vary the rubber sleeve hardness. Need a softer rubber, no problem! 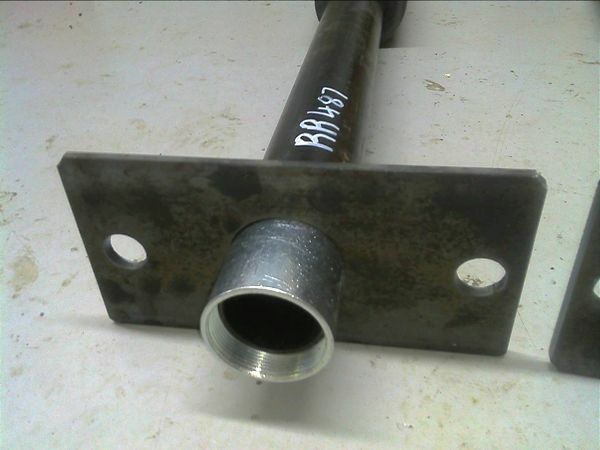 We can also provide a fully galvanized unit at only a 10-15% increase in cost over the standard packers! 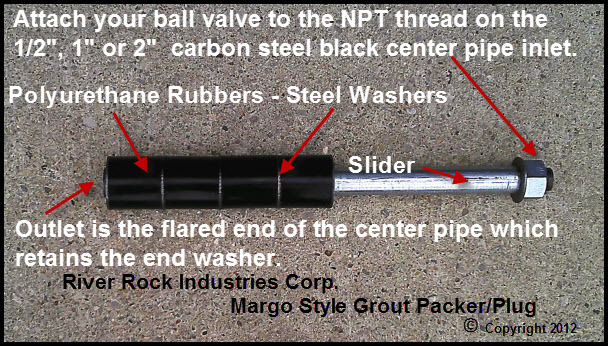 Margo Grout Plug for 5-1/2" Hole x 60"
These packers are tough, versatile, durable. The only drawba .. Copyright © 2009 River Rock Industries Inc.